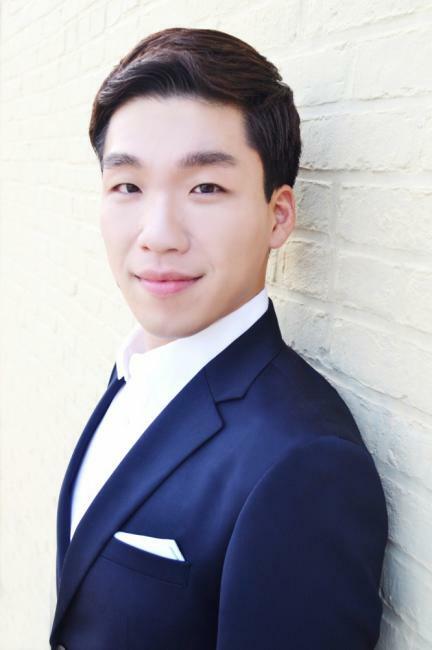 Countertenor Min Sang Kim was named a winner of Metropolitan Opera National Council Auditions Capitol District and Saltworks Opera Competition and performed at Carnegie Hall as a Grand Prize winner of CAI Virtuoso Competition. In operatic stages, he performed the role of Ottone with New York Lyric Opera; Endimione, Madame Haltière, Ixion and Oberon with Peabody Opera; Tolomeo with Pittsburgh Festival Opera; Secrecy, Mopsa with Hawaii Performing Arts Festival; Nerone with Opera NEO; Ottone, Valetto with Aspen Opera Center. In the concert stages, he performed with Baltimore Symphony Orchestra, Washington Bach Consort, Peabody-Hopkins Chorus, American Bach Soloists, Daegu Opera House and among others. He is a winner of Russell C. Wonderlic Competition, Baltimore Music Club Competition, Osaka International Music Competition and finalist of Renata Tebaldi International Voice Competition and Vocal Arts DC Competition. Min Sang is originally from South Korea and moved to the United States in order to attend the Juilliard School’s pre-college. He received Bachelor of Music at New England Conservatory. He is currently pursuing Doctor of Musical Arts at Peabody Institute of the Johns Hopkins University as a recipient of George Woodhead and G. Raymond Ziegler Endowed Scholarship where he also earned his Master of Music.